What makes this tool great? Corporate managers who face both strategic uncertainty and market uncertainty confront a classic trade-off between commitment and flexibility. They can stake a claim by making a large capital investment today, influencing their rivals' behavior; or they can take a "wait and see" approach to avoid adverse market consequences tomorrow. In Competitive Strategy, Benoit Chevalier-Roignant and Lenos Trigeorgis describe an emerging paradigm that can quantify and balance commitment and flexibility, "option games," by which the decision-making approaches of real options and game theory can be combined. The authors first discuss prerequisite concepts and tools from basic game theory, industrial organization, and real options analysis, bringing important materials and ideas together into a unified framework. They then present the new approach in discrete time and later in continuous time, beginning with the building blocks of the basic ideas and tools and culminating in richer theoretical analyses. Their presentation of continuous-time option games is the first systematic coverage of the topic and fills a significant gap in the existing literature. 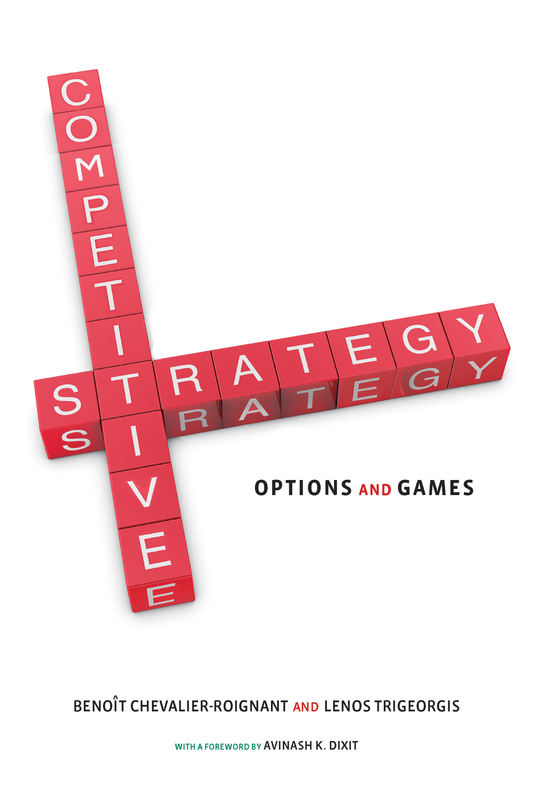 Competitive Strategy provides a rigorous yet pragmatic and intuitive approach to strategy formulation. It synthesizes research in the areas of strategy, economics, and finance in a way that is accessible to readers not necessarily expert in the various fields involved. The book will be of interest to scholars, students, and academically trained practicing managers interested in applying these ideas.